(3 Customer Reviews) | Write Review 13 issues per year "As Europe’s best-selling guitar magazine, Total Guitar has the best access to interview guitar heroes. 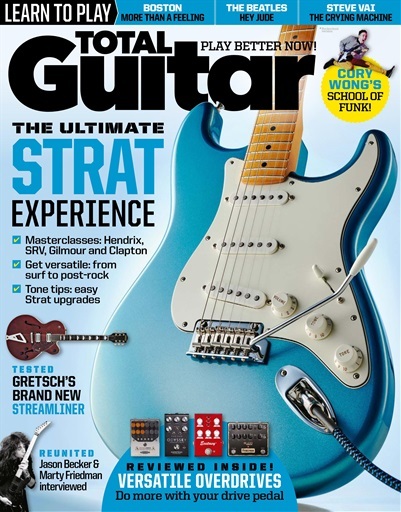 Every issue is crammed full of the world’s best and most accurate guitar tab and there are great songs, tracks and riffs for every level of player from beginner to expert. From the latest metal and indie hits to classic rock, Total Guitar has more songs than any other guitar magazine. " Looking for Total Guitar in print? 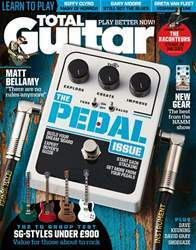 Unfortunately pocketmags.com does not sell print copies of Total Guitar, but all is not lost. Our partner at magazine.co.uk sells print subscriptions at the best prices online. "As Europe’s best-selling guitar magazine, Total Guitar has the best access to interview guitar heroes. 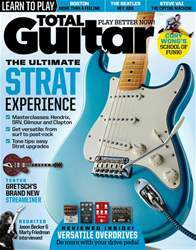 You'll receive 13 issues during a 1 year Total Guitar magazine subscription. Would be awesome if this digital edition gave you access to the CD contents somehow, though. Great for teaching yourself Guitar! The tab is always good and accurate...plus the articles are interesting too! Would be good to get the CD content but I'm told there's licensing issues and that they hope to have it included soon. 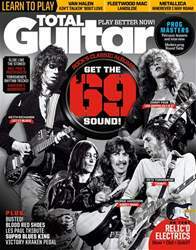 You'll receive 13 issues during a 1 year Total Guitar magazine print subscription.